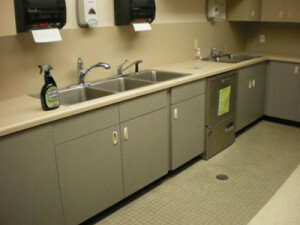 A water release from an under-counter dishwasher at a federal daycare kitchen flowed into the common wall between the kitchen and processing center. EHSI, as an environmental health and safety firm and licensed General Contractor, conducted a limited mold and moisture assessment in the kitchen area and subsequently performed mold mitigation activities within the daycare kitchen over a holiday period. EHSI found visible evidence of mold growth on the exposed gypsum wall surfaces within the kitchen. All affected building materials were removed and replaced with new materials following clearance testing. EHSI provided construction management for the installation of new kitchen cabinets, countertops, and backsplashes. 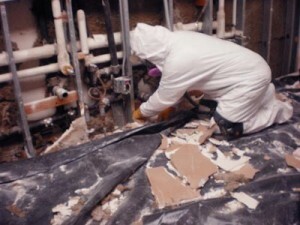 This entry was posted in Construction Management, Hazardous Materials, Projects and tagged Asbestos Abatement, Mold and Moisture by Nancy Yee.